12 (2006) crunches the data from millions of surveys conducted by Gallup, Inc. to distil the essence of what makes employees happy, and why happy workers are good for business. If you’re searching for practical solutions for improving employee relations and the quality of managers, look no further. 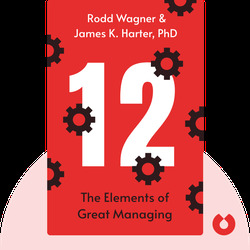 Rodd Wagner is an advisor to business executives around the world, helping them improve performance and efficiency. A former principal at Gallup, Inc., he is the author of the book Widget: The 12 New Rules for Managing Your Employees As If They're Real People. 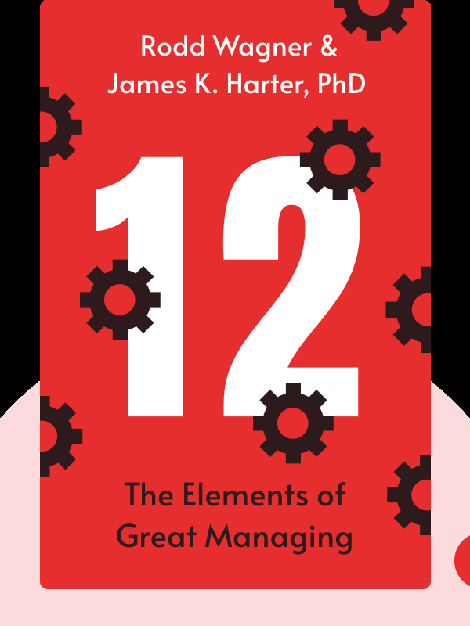 James K. Harter, PhD, is the Chief Scientist of Workplace Management at Gallup, Inc. and a researcher whose work has appeared in over a thousand published studies. He is also a contributor to the New York Times and Harvard Business Review.